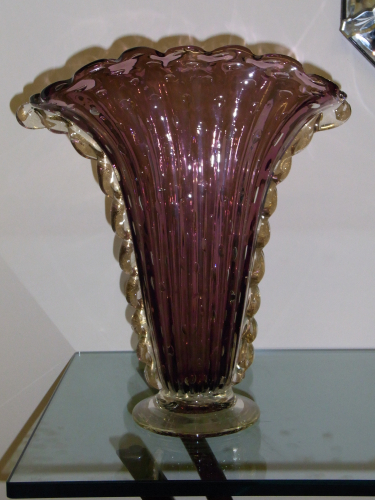 Toso Vase from Murano. Sculpted lilac body with large controlled bubbles. Applied clear trim with gold leaf. Sensational and in perfect condition.